Similar as purchasing, when we want to post item sale, we can do it in one step (posting shipment and invoice in the same time) or in two steps (posting shipment in the first step, and then posting invoice). You can also use some additional ways with Warehouse Management, but the G/L entries will be the same. In my example, I have used second way with line and invoice discounts, for better example. But, in any case as in purchase model, we have some rules about posting groups. Some posting groups are used from document header, and other from document line. 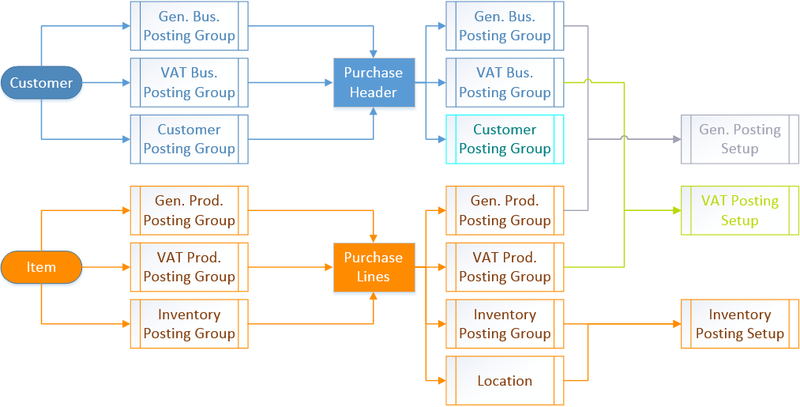 In following chart, you can see how system uses posting groups on documents. Thank you for the really nice words. I’ll try to continue.